Our people are our power. Our diverse skills enable us to deliver a comprehensive range of capabilities. As a collective team, our collaboration across services allows us to serve you better as a single source. Pieper Electric is a leading provider of electrical services to large and small airports throughout Wisconsin and Illinois. Providing landside and airside services, our team of qualified, experienced electricians has specialized knowledge of the unique equipment, security requirements and FAA regulations to work effectively and safely in this space. At Pieper Electric, we take safety seriously. Hazardous arc flash can occur in any electrical device regardless of voltage, in which energy is high enough to sustain an arc. Since 2002, Pieper’s Arc Flash division has been keeping workers safe through their unmatched experience, knowledge, and accuracy. Industrial settings are a common place for an arc flash to occur and the effects of an arcing fault can be devastating on a person. The intense thermal energy can cause severe burns in just a fraction of a second. The temperature of an arc can reach approximately 35,000 degrees Fahrenheit or about four times as hot as the surface of the sun. One of the major causes of electrical burns and deaths to workers is the ignition of non-fire rated clothing due to an arcing fault. Without an Arc Flash Hazard Analysis, you cannot properly protect your employees from an arc flash hazard. You must know the values for fault currents as well as clearing time for your protective devices to determine the proper personal protective equipment for your qualified personnel. Continuous learning has always been at the core of Pieper’s culture—for our employees and our customers. Our team also offers NFPA-70E and Arc Flash Awareness Seminars providing valuable, life-saving learning opportunities for maintenance workers, electricians, operators and HVAC personnel and other professionals who often work on or near electrical equipment. Ultimately, an arc flash study could protect you and your employees from personal injuries, medical claims, insurance cost, equipment damage and numerous fines. Our customers and their safety are always our number one priority. Contact us today for a consultation at 414-462-7700. Pieper Electric recently introduced a new brand: Pieper Automation. Pieper Automation provides customers with innovation, technical expertise, outstanding service, and a quality product they can trust. For more than 30 years, our Automation and Controls group has worked with customers across markets to combine application development, design, programming, control panels, quality assurance, and training into a complete solution that’s specific to each customer’s needs and application. Visit the new Pieper Automation website, currently under development. Every day we work with our customers to provide automation solutions that enhance customer success in the areas of custom automation machinery, panel/assembly, engineering services and controls engineering. Pieper Electric automation engineers are knowledgeable, experienced and ready to assist from project conception through commissioning, launch, and service. In every engagement, we’re prepared to provide the full spectrum of automation services from complete electrical controls engineering to full system integration services including design, documentation, programming, panel assembly, machine wiring, installation, start-up, and service. No challenge is too big or too small. Our Automation and Controls group is segmented into several key business units who together deliver comprehensive, world-class services including application development, control system engineering & design, panel and enclosure fabrication, PLC programming, HMI development, operator training, 24/7 emergency service, and system maintenance. Control systems technology is constantly evolving, and at Pieper Electric, we have a team dedicated to delivering full-scale automation, integration systems, and support. From project management, design, panel manufacturing, programming, commissioning and service, Pieper Automation provides solutions that not only address your immediate requirements but also lay a foundation for future needs. We can help you streamline control and information flow to achieve plant-wide optimization with robust networking capabilities that address your specific needs and enable you to make faster, smarter decisions based on real-time visualization of process and product information. No matter your industry, our experience enables us to deliver unparalleled benefits that translate to better quality, a smarter investment and ultimately higher cost savings. We deliver medium- and large-scale process intensive automation projects across industries with a specialized background in projects for municipal water, wastewater, and the oil/gas/energy market. We have a deep bench of talent that brings years of experience, professionalism, and commitment to quality into every engagement. As a full-service automation group, we function as a single source for all electrical phases of a project from start to finish—and after. Our dedicated service group ensures customer satisfaction years after completion, providing responsive maintenance and support to our mission-critical process automation systems. At Pieper Electric, our automation group isn’t local, it’s global. Serving the entire state of Wisconsin and beyond, our global automation field service team travels worldwide to commission, support and troubleshoot industrial equipment in facilities across industries. Through our years of experience with different control and automation systems, we’re a trusted, qualified resource to OEM partners who sell equipment around the world. Our building automation group works across industries in businesses including hospitals, universities, schools, labs, offices and wastewater treatment plants to deploy and integrate advanced building automation and HVAC control systems. As a Honeywell Authorized Control Integrator (ACI), our team of experienced automation professionals can tackle projects of all sizes and complexity. As a full systems integrator, we bring all types of systems into a graphical interface for operators to run their buildings comfortably and efficiently. We provide turnkey control panel building solutions, at our own facility or onsite at our customer’s operation. Our award-winning panel fabrication shop is capable of building projects of nearly every size. From small push button panels to mobile MCC’s and everything in between, we can build a solution. Quality and reliability are ensured in all of our custom fabrication products. Every panel is inspected and tested to ensure operability upon installation. Our panel fabrication shop is a UL508A certified, self-inspected operation where safety is always designed into every panel. Pieper Automation’s system integrators consist of electrical engineers, process engineers, mechanical engineers, designers and drafters who are highly skilled in a variety of specialties. Our team can work with your team in a number of capacities including preliminary engineering services, project engineering, and support to meet your specific needs. Pieper Electric’s Building Services/Maintenance division handles all aspects of emergency service and preventative building maintenance for customers across industries. When a building’s system fails, downtime can be costly and stressful. Don’t leave your electrical system to chance, our complete line of services range from simple site walkthroughs that identify possible trouble areas to complete scheduled maintenance plans that keep our customers operational. We have complete services available in the following areas: building audit programs, arc flash evaluation & assessment, substation/gear cleaning & torquing, electrical equipment testing, preventative maintenance and the complete complement of high voltage services to meet any demand. Our building audits help businesses not only identify potential trouble areas but also reveal opportunities to improve the overall operating efficiency of their building. At Pieper Electric, we offer consulting services that help businesses find ways to reduce emissions and energy consumption to ultimately lower their operating costs. Our team of experts has the background and experience to present you with viable, cost-effective options to maximize your energy savings. Electrical preventive and predictive maintenance of major electrical system components. Heat scan of your building’s current electrical service. Identification of electrical hazards within your building. Through our planned maintenance programs and years of experience, we know how to identify problems and to provide the best solutions available, and will help you plan when to make the necessary corrections. At Pieper Electric, we don’t believe in a one-size-fits-all solution. We’ll work with you to create a program that’s right for you and your facility. When it comes time for a scheduled visit, you can rest assured knowing that our team will conduct a comprehensive variety of diagnostic tests to ensure you’re getting the most from your building’s systems while minimizing the risk of unexpected failure. We’re here to keep you operational and efficient. Our construction services division is where it all began. Since our founding in 1947, Pieper Electric has served residential and commercial customers as a full-service electrical contractor. Through our full spectrum of services, we offer pre-construction, design/build, restoration, remodeling, building maintenance, code compliance and new construction electrical services. Our difference is our delivery and our people who make it happen. In every project, we work in close collaboration with the customer to deliver high-quality services exactly as promised. Our proven track record has enabled us to develop long term relationships founded on trust. Our customers have confidence in our ability remain on budget, resolve issues, communicate and keep up with their construction schedule. Even though Pieper Electric has been performing design/build and design/assist type projects since its inception more than 65 years ago, projects of this type are still relatively new in many markets. Because of the complexity of the systems involved, these are not projects that just anyone can do. At Pieper Electric, we have the technology, skills, and personnel to help. Our in-house CAD capabilities and 3D modeling are key components to keeping things straight when trying to fit 10 cubic feet of equipment into a 2 cubic foot space. These services are even more important when attempting to keep all members of a construction team from making costly mistakes and causing delays to a construction schedule. Contact us to learn more about our design/build capabilities. Let us help you with your next project. With a proven reputation for working safely and providing ultimate customer satisfaction, we provide a full scope of electrical testing including harmonics, transformers, switchgear, circuit breakers, cables, ground fault systems and infrared thermography. At Pieper Electric, we understand that when it comes to the testing of a building’s electrical equipment, customers expect a team of professionals who are competent in a range of testing methods and have the necessary equipment and skills to derive accurate test results. Through our years of experience, our electrical equipment testing group can accurately and competently test all aspects of your electric power system. Infrared scanning allows us to inexpensively locate loose connections and misaligned or worn contacts, which waste energy and may eventually lead to equipment failure or even start an electrical fire. Inspection of circuit breakers and fuses to identify potential problems and avoid emergency power situations. Testing of windings of large or critical motors for comparative megohm readings to signal possible concerns pending failure. A diagnostic power analysis can determine if high levels of harmonics exist due to heavy electronic loads, which can lead to costly burnouts of transformers, panel boards, circuit breakers, and neutral conductors. At Pieper Electric, we keep businesses and operations running through our Emergency Power Services. Pieper Electric’s backup power division specializes in solving tough back-up and emergency power situations with a sound and logical approach learned through the depth of experience that our team brings to the table. We understand that power restoration is never an easy, stress-free situation, which is why we go the extra mile to give our customers ease and comfort by delivering excellent service and support. Our value comes from the strength of our team and their ability to get the job done safely and efficiently—limiting your operation’s downtime when an emergency power event occurs. Our dedicated customer service technicians truly care about the quality of work they provide and the attention to detail that comes with that dedication. At Pieper Electric, our people have always been our power—delivering 24-hour emergency to respond and resolve outages and power emergencies for our customers. Pieper Electric is a single source provider to the residential, industrial, commercial and institutional markets for power generation systems. Our comprehensive capabilities include system design, installation preventative maintenance, and 24/7 emergency service. Our expertise in generator technology ensures that each system is designed to be installed most efficiently and precisely to meet your needs. In every engagement, we work with the customer to provide top quality work and service no matter the size of their need. Our work across industries has taught us that for many businesses, downtime is not an option. While generators are a great solution for long-term power outages, they do have one small drawback. They don’t start instantly and they require a small timeframe before they get completely up to speed to provide the power you need. Even these small outages can cause huge problems for certain businesses such as healthcare systems where lives are on the line and financial institutions that hold sensitive personal data. At Pieper Electric, we design, install, maintain and service uninterruptable power systems for businesses that cannot afford interruptions. Offering uninterruptable commercial, institutional and data center systems, we can help you realize the right solution for your unique needs that gives you the best value for your investment. At Pieper Electric, our High Voltage Maintenance division has the experience and knowledge to work on complex high voltage systems in industrial and commercial settings. 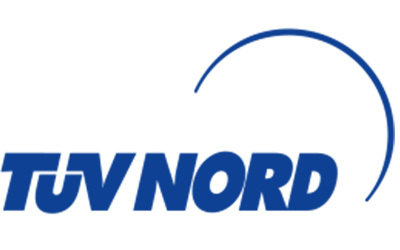 Committed to worker safety and continuing education, our team of qualified technicians is specially trained in high voltage work and has the skill sets required to perform routine maintenance and emergency service safely and competently. Our services cover the complete spectrum of high voltage maintenance needs. Every day our team works with customers to plan and complete routine power outages while performing turnkey maintenance, which can often include the cleaning, exercising, lubrication, inspection, and testing of all components that make up a commercial or industrial power system. In every engagement, our goal is to not only reveal a system’s operational status but address concerns to increase overall system reliability and performance. Our Lightning Protection division, Pro Lightning Protection, is a UL® listed and Lightning Protection Institute (LPI) certified contractor providing lightning protection and grounding systems for residential and commercial applications. Our team of LPI certified professionals is uniquely qualified to provide a range of services from basic system engineering to full turnkey installations. We take safety seriously. In every project, we put the wellbeing of our customers, their employees and our people first to ensure our systems are designed, installed and operated safely. Our team’s attention to detail, knowledge of lightning protection and grounding systems and commitment to delivering quality service gives our customers peace of mind knowing they have a safe, reliable system in place that will protect their facility and keep their business operational during a lightning event. Pieper Electric provides the full range of voice, data, video, and security solutions through our Low Voltage Division, Systems Technologies. Our people are leaders in their perspective fields and specialize in the installation of low voltage cabling and systems. With years of experience working across industries, Systems Technologies delivers high-tech solutions that cater to our customers’ individual business needs. Visit the new Systems Technologies website currently under development. The safety of your employees and improved bottom-line is paramount, which is why Pieper’s Industrial Machine Safety (PIMS) Group is here. We’re dedicated to creating solutions that protect your employees from injuries, ensuring you meet safety standards such as OSHA, ISO, and ANSI, and avoiding costs related to machine hazards. 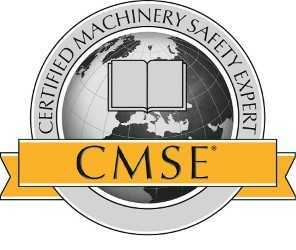 A CMSE – Certified Machinery Safety Expert (TÜV NORD) will assess your machine(s) safety, implement solutions to reduce liability, then validate and maintain the results. Pieper Electric creates turnkey solutions to meet your safety needs! Risk Surveys – We work with the customer and their team of employees to survey the hazards on a particular machine(s) and calculate a Hazard Rating Number (HRN). This HRN is compliant to ANSI B11.0:2015 & ISO 12100:2010 standards for assigning hazard ratings. The customer receives the full Risk Survey results. Risk Analysis & Reduction Plan – This service takes the Risk Survey results and provides a detailed analysis of each hazard identified in the Risk Survey. We then design a custom plan to reduce the risk on each hazard. Finally, we calculate a new, estimated Hazard Rating Number (HRN) based on the custom reduction plan designed. The customer receives the full Risk Analysis & Reduction Plan. Turnkey Safety Solutions – This service provides the complete safety solution from the initial Risk Survey through the engineering, installation, validation, and maintenance of the safety system. Our mechanical services division, IDEAL Mechanical, serves businesses, construction partners, and homeowners across all market segments throughout southeastern Wisconsin as a full-service mechanical contractor. Our team is made up of over 40 highly experienced service and construction mechanical specialists committed to safety, quality, and strong customer relationships. Whether it’s a new facility, requiring design/build expertise or an existing building needing retrofit, remodel, or replacement, our mechanical division offers the full spectrum of plumbing, HVAC, building automation and service capabilities to get the job done at a competitive price. Across markets, our history and track record for excellent service, quality work and safety give us the ability to tackle any plumbing challenge. In the commercial space, our team of professionals works on new construction, retrofit and remodeling projects specializing in code upgrades, sanitary waste & vent systems, steam and storm piping, acid waste systems and backflow preventers and more. For homeowners, our residential mechanical services team works to resolve minor and major plumbing problems quickly and correctly. Our residential customers can count on us for repairs and maintenance of all kinds, bathroom, and kitchen remodels. gas connections and piping, sump pump installation and repair, and much more. Our mechanical division, IDEAL Mechanical, has performed HVAC projects all over Southeastern Wisconsin in a variety of commercial and industrial facilities. In these spaces, our goal is to provide quality systems and service that help keep a facility running as efficiently as possible. Our commercial services range from hot water and steam boiler replacement and chiller replacements to exhaust systems, in-floor heating, clean rooms design/build services and much more. In the commercial sector, we work with businesses to deploy advanced temperature control automation systems to their office or facility. As a Honeywell Authorized Control Integrator (ACI), our mechanical services division at IDEAL Mechanical can tackle projects of all sizes and complexity. Additionally, our professionals are also trained to service a variety of other leading automation systems from leading manufacturers such as Johnson Controls, Carrier, Trane, Invensys, and Tridium. Pieper Electric’s mechanical division has the resources to handle every service need. Our fleet of specialized service trucks is equipped with the most technologically advanced tooling available and carry a significant amount of inventory to ensure we have the right parts, tools, and resources on hand to solve your challenge in a timely and efficient manner. Learn more about IDEAL Mechanical’s residential services here and commercial services here. At Pieper Electric, we’ve led small- to large-scale electrical remodel projects across industries from the renovations of major healthcare facilities to commercial tenant build-outs and industrial plant updates. Our electrical remodeling division can handle any type of project from plan and spec to custom design/build. When choosing Pieper Electric, our customers can count on us for an on time, on budget delivery through our reputation for safety, quality and complete customer satisfaction. As a large, full-service electric contractor we have the resources and personnel to bring a broad perspective and detailed focus into your project. Facility remodels often involve operational downtime as each part of a facility undergoes the necessary steps to bring a project through to completion. Understanding that lost time is lost money, our people have the capacity to work on an accelerated schedule to minimize downtime. No matter the project scope, we have people that have been through this before. Trust Pieper Electric as your partner for your next renovation project. Restoration is never an easy, stress-free situation. Fires, floods and other natural disasters can cause devastating damage to a building requiring unexpected, costly repairs. At Pieper Electric, we feel it is our responsibility to bring a little ease and comfort to our customers going through a restoration project by providing excellent service and support from start to finish. Our team provides a variety of restoration services across industries from residential homeowners to commercial buildings and industrial facilities. In every setting, we work in partnership with the customer to supply electrical restoration services that fulfill the customer’s needs and schedule. No matter the size or scope of a project, our goal is to provide outstanding, detailed and safe services. Our customers choose us because they know they can trust Pieper Electric to deliver and make a stressful restoration process as easy and seamless as possible. At Pieper Electric we believe in energy efficiency and renewable energy technologies. It is said that energy efficiency and renewable energy are the “Twin Pillars” of energy policy—requiring both strategies to be developed concurrently in order to stabilize and reduce carbon dioxide emissions in our lifetime. By investing in renewable and sustainable technologies we can work towards a future of a clean and self-sustaining society. At Pieper Electric we believe in this two-part strategy and have expanded our services to enable all of our new and existing customers to take advantage of what is available. Our goal is to take these new and innovative technologies and make them as simple as replacing a light bulb. To this end, we hope that by creating turn-key solutions we will be enablers for current and potential customers to reduce their consumption and improve our world. Additionally, when your project requires LEED certification and participation, Pieper Electric can help your design and construction team come up with the most cost-effective solutions available today. Our team has specialized knowledge and experience working on LEED certified projects across industries. Pieper Electric is a leading supplier of wireless construction services in Wisconsin and the Upper Midwest. As a full-service electrical contractor, we can fulfill any wireless and cellular construction need—from the grounding ring to tower top lighting, line and antenna installation and network maintenance we can handle all of your construction and service needs. Our team of highly qualified technicians and staff is trained in the safety requirements needed to be professionals in the wireless and cellular space. Our high standards for safety and proven track record are key factors in our success having worked millions of hours without a lost time accident. Our customers can choose Pieper Electric with confidence knowing that our employees with work safely and efficiently to get the job done. As a proud member of NATE and through our years of experience, we have the capacity and skills to take on unique and complex wireless and cellular challenges that most other contractors just can’t tackle. We look at every situation as a hurdle that we must face head on and work together to find the best possible solution. From our well-trained management team to our field support staff, every individual at Pieper Electric brings a fresh perspective and their broad experience to the table to deliver the right solution.